Most marketers and brand strategists understand the dangers of brand inconsistency: without a well-defined logo, color scheme, and brand voice, your brand won’t stand out in consumers’ minds. And if consumers can’t remember your brand, you haven’t a chance against competitors. While brands are constantly trying to uphold a strong visual image, the internet is notorious for uncovering small inconsistencies, many of which reside in the most unexpected places. 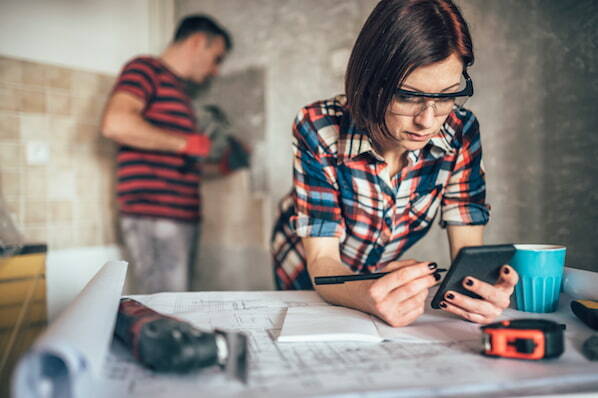 To make sure that you're covering all the bases, we've outlined six sneaky places where brand inconsistencies tend to hide -- from the depths of your product descriptions to that email you're about to send. Alongside these sources you'll find inspiring examples of world-class brands that are doing their due diligence to keep things consistent across the board. Whether your content team is made up of two or 20, you’re inevitably going to end up with different writing styles. Having a range of voices is a good way to keep your audience interested, but there’s a fine line between an interesting variation and writing that’s downright inconsistent. And when the writing styles and visual content across blog posts are too drastic, your readers will be confused about the message you’re trying to send. 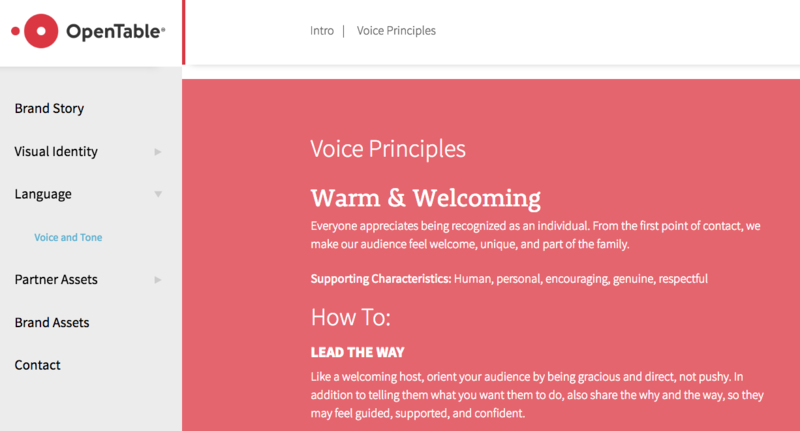 One way to achieve consistency on your blog is to create a detailed content style guide. This guide can include information such as what types of stock photos to use, whether or not to use oxford commas, and what language to avoid. In addition to sharing this guide with everyone on your internal team, you can also share it with contributors, partners, and press. OpenTable’s style guide includes helpful guidelines for what tone their branded content should embody. These tips are used to inform blog content, so writers of all different backgrounds have a basic standard to follow. Pop Quiz: If you need information, fast, where do you typically go to get it? We’re going to take a gamble and say that your answer was Google. People looking for information about your brand probably have the same train of thought. After all, Google is seen as a trusted method for finding information. Trouble is, this can be bad news for brands. Since Google is so good at scouring the web, they’ll pull up anything and everything related to your brand -- even outdated logos, old product shots, and inaccurate company descriptions. If you’re not keen on chasing people across the interwebs every single time your logo is used incorrectly, try taking a proactive approach. You can prevent brand misuse by showcasing your brand accurately in a single, public-facing location. You can adopt a cloud-based platform like Brandfolder to provide easy, immediate access to your brand assets and their usage guidelines. Slack ensures proper use of their brand assets by linking to their Brandfolder directly from their website in the top left corner. They also have a “brand guidelines” page on their website where readers can access all asset usage instructions. One of the biggest culprits of brand inconsistency resides in product descriptions and feature pages. This copywriting is especially notorious for being misaligned with your brand, and with one another, because they are extremely detailed and change often. The best way to keep your website up-to-date is to conduct a website audit. To ensure the process goes smoothly, be sure to involve leaders from every department. Your marketing team can help refine copy, your product team can ensure that it’s accurate, and your sales team can verify pricing information. Website audits can be especially challenging if you haven’t conducted one in over a year, so try getting into the habit of conducting one every six months or so. Warby Parker is a great example of a brand that achieves consistency across hundreds of products. Each pair of glasses has a product description that is similar in length and language. Since people shopping for glasses are inevitably going to look through many different pairs, these consistent product descriptions help Warby Parker uphold the quality and perceived brand value of their product. Consider this scenario: Your sales team is communicating with a customer about a possible feature upgrade. Your support team is communicating with that same customer to help fix a bug. Meanwhile, you’re crafting the perfect promotional email to send to all your customers. While all of the emails are from the same brand, none of the teams are aligning their email language. As a result, each email sends a radically different message, and the customer retrieves a mixed message about what your brand is about. Similar to the content style guide we suggested in tip one, an email style guide can serve as a helpful alignment tool. Your guide should include guidelines on how to respond to questions and concerns, and what specific language you should include (and avoid). Start by rounding up the most common questions each department receives, then work with your marketing team to craft on-brand answers. In addition to helping your brand be more consistent, this will also save your team time. To make it even easier for writers to follow your brand’s editorial guidelines, simply make your style guide public. 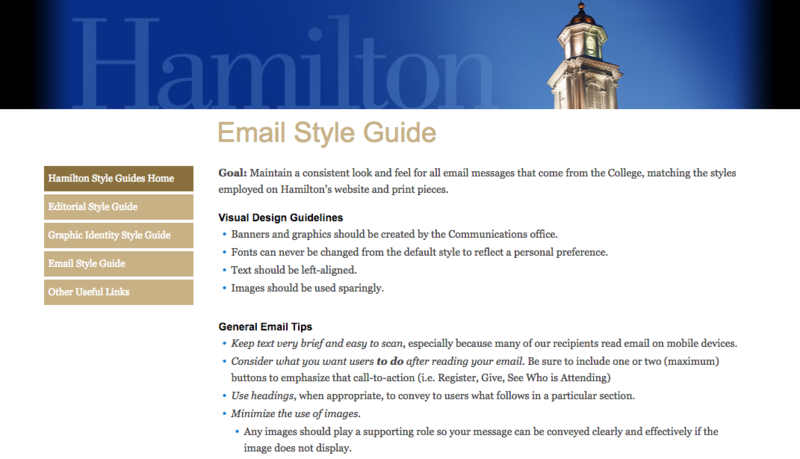 Hamilton College sets a great example for brands looking to standardize their email writing styles -- their Email Style Guide includes directions on everything from acceptable fonts and colors to imagery usage. So your brand has an official Facebook, Twitter, Instagram, Snapchat, and -- wait a minute, what other social platforms are you on? With so many options for marketing your brand on social media, it’s hard not to feel pressured to have a presence on all of them. However, trying to tackle all of these platforms is difficult -- can you really maintain a consistent posting cadence on all of these sites? Even more problematic is that fact that each of these platforms have varying audiences -- and not all of these audiences are aligned with your target market and brand strategy. The best way to stay consistent on social media is to choose a few platforms that make sense for your audience and your product -- then master them. It’s also a good idea to do a cleanup of your social profiles and delete the ones you don’t use, or don’t plan on using in the near future. After all, you probably don’t want people looking up your brand on Twitter to find you’ve only tweeted once ... three years ago. 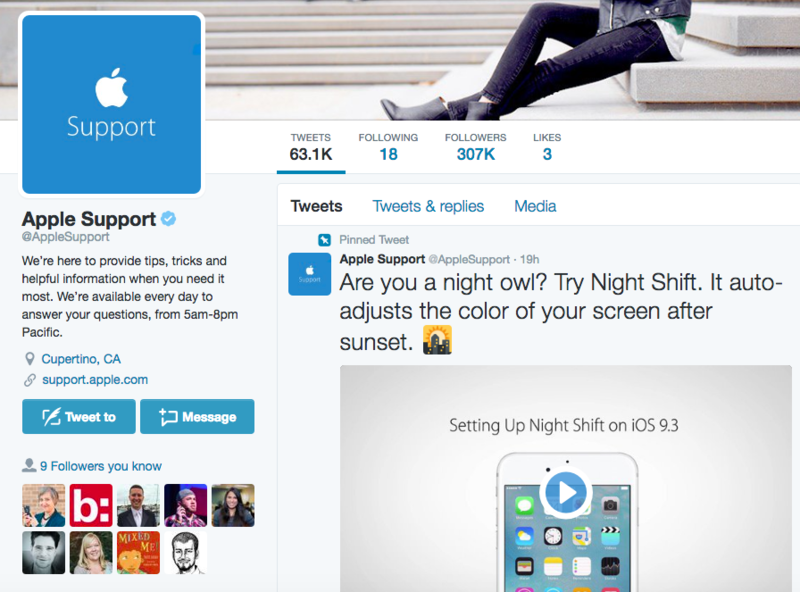 Apple gets it: they’re one of the largest tech companies in the world, but they don’t even have a designated Twitter account. However, they do have an Apple Support account, which offers helpful tips and tricks on getting the most out of your Apple products. This actually fits into the greater brand experience that Apple creates. Instead of reaching out to customers with promotional discounts and deals, Apple offers an online support community where people can go to find what they need -- similar to their in-store experience. Since product review sites are regulated by people who know nothing about your brand, they often portray the wrong information. Whether your business has the wrong location, or is missing a proper company description, review sites can be a huge source of concern for potential customers. And while there’s not much you can do about the poor ratings and negative reviews on these types of sites, you can take steps to keep your fundamental brand information accurate. First, reach out to these sites and do whatever you can to correct your brand's information. It’s the job of the review site to inform their users, so they’ll likely be receptive to your request. Another way to boost your presence on review sites is to reach out to your champion customers and ask them to leave a review (if they haven’t already). This will help filter out the not-so-positive reviews, so people visiting these sites understand both what your brand is about, and what people honestly think of it. Nashville’s Hotel Indigo proves that a TripAdvisor profile can go a long way. Their page includes professional photography, accurate contact information, and TripAdvisor’s official “Seal of Excellence.” Nashville’s Hotel Indigo Staff can easily monitor this site to help customers gain knowledge and trust. Now that you’re aware of six places brand inconsistency may be lurking, you can get started on creating your most consistent online brand presence yet. Did we miss something? Share your thoughts in the comments section below. The Secret to Social Media Brand Building? Cultivation. If you're trying to wrap your head around social media branding , try thinking of flowers.